Start Your Car from Your Phone. From Simple & Elegant to Wild & Fun. Perfect For Long Rides In The Car. Back Up Cameras, Sensors, Park Assist, & Blind Spot Help. BUY A GREAT GIFT RIGHT NOW! Buy Online NOW!! Gift cards and prepaid remote start systems! If you want to give the perfect gift, or need that last minute gift idea, you can now purchase gift cards and remote start systems online. Once you make your purchase, the recipient will receive the electronic gift in their email inbox on the date that you predetermined. When you purchase an actual prepaid starter, you will be paying for the full purchase price including parts, labor, & tax so that the person getting the gift doesn’t have to pay a penny out of pocket! Want to give a remote start to your wife for her birthday, but her birthday isn’t for another 2 weeks? You can easily buy the online gift now, and tell our system to deliver the gift with a special message on her actual birthday. How easy is that!! Click the button to go to our online purchase page! We are excited to be celebrating our 47th year of quality aftermarket installations. From simple remote starters and radios, to top quality custom leather interiors and power moon roofs, we have lots of great products to customize your car. Since 1971, Auto Sound has been family owned, operated, and managed which is one reason our customers come back every time they purchase or lease a new or used vehicle. 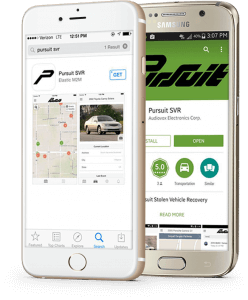 What started back in 1971 with the first location based in the owners garage has turned into an accomplished business that serves both retail customers and car dealerships in Massachusetts, New Hampshire, Rhode Island, & Southern Maine. CarLink combines traditional smartphone control when a compatible remote start and the CarLink hardware is installed into your vehicle. It will allow smartphone app control (virtually unlimited range based on cellular coverage) to communicate with vehicle to operate remote start, door locks, gps location, and security. Carlink ASCL6 Demo - 11-18 from Auto Sound Company Inc on Vimeo. 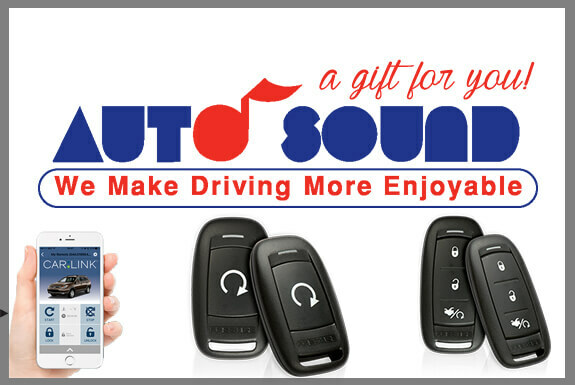 Warm up your car this winter with a remote start from Auto Sound. We have a lot of options to choose from! From basic single button, to advanced two-way confirming systems with phone app support. We have solutions across multiple price points. We also offer specially designed starting systems for some year, make, & model Audi, BMW, VW, Mercedes, Fiat, & Maserati. 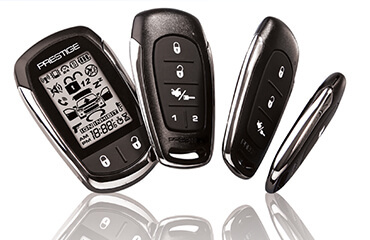 Call us today or fill out our custom quote form to learn more about our remote start solutions. Don’t forget, they also make the perfect gift for any occasion and can be purchased online by clicking the “buy online” link above! We have a team of technicians ready to service your vehicle right at your home or office! * Our on site installations include remote starts, alarms, back up cameras, back up sensors, bluetooth systems, bodyside moldings, heated seats, and more! If you are having a major service performed on your vehicle such as a leather interior or sunroof, we can also arrange for vehicle pick up and delivery. *Depending on location, a small fee may be added to the cost of services. If you own a small or large fleet of vehicles, we have products and solutions that most business owners would want to learn about. 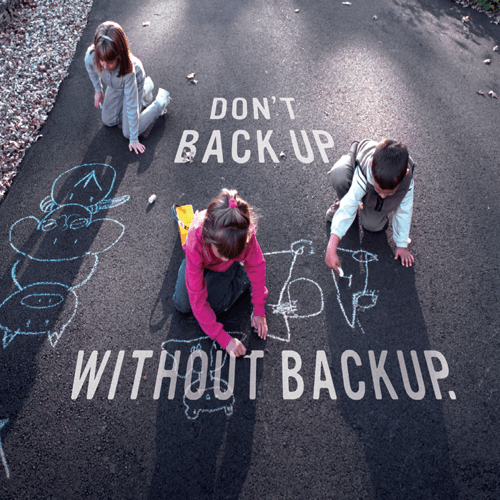 Our products provide peace of mind and additional layers of protection in regard to liability. 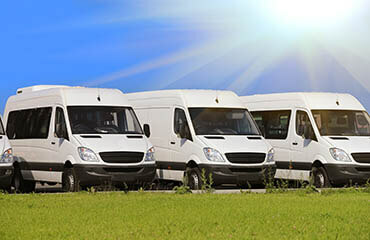 We work with transportation, bus, limo, towing, construction, oil, gas, contracting, and many other types of companies. Regulations are always changing and with all the new initiatives in regard to back up cameras and hands free cell phone laws, we are happy to guide you and your business on keeping up with safety mandates. 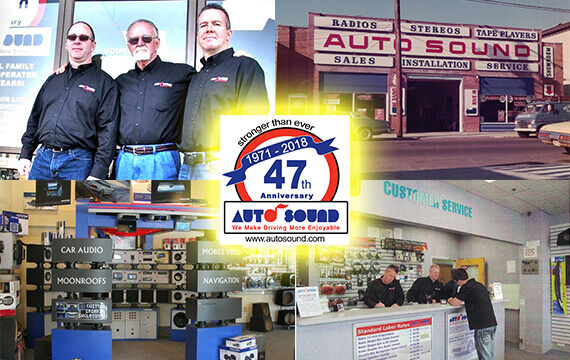 Auto Sound is a Family business that opened its’ doors in 1971. We are a leader in aftermarket vehicle installations and focusing on mobile electronics and trim. Family owned and operated, we are proud to be at the forefront of sales, customer service, education and support. Its’ our pleasure to help make driving more enjoyable, and look forward to building a lasting relationship with you and your vehicle. 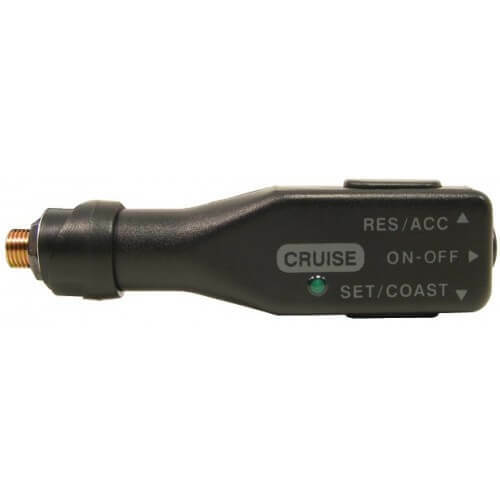 We offer a variety of 12 volt services including: alarms, remote starters, keyless entry systems, power windows, power door locks, satellite radio, iPod integration, speaker replacement, amplifier installation, mobile video, GPS navigation, head unit replacement, radar/laser detection systems, reverse obstacle sensors, rearview cameras, vehicle GPS tracking, and Bluetooth connection solutions. The automotive trim industry has grown at an unprecedented rate over the past decade. Our talented installation team can dress up your car to make it have that new car feel all over again. 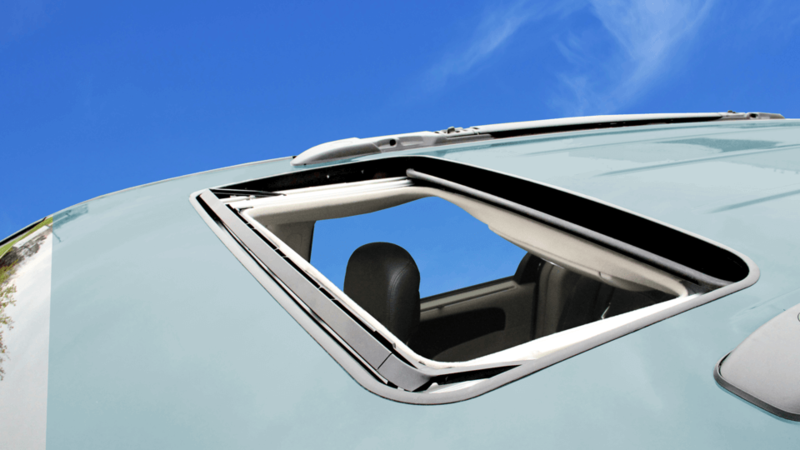 Trim accessories include: rear wing spoilers, window tinting, airbag-safe leather interiors, heated seats, and full power sunroofs. Customer service & top quality installations will always remain our top priority. 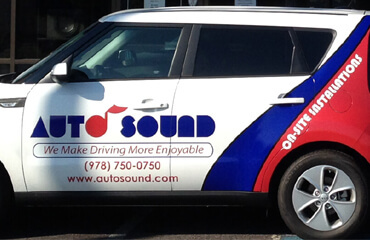 Auto Sound is committed to making sure our customers are 100% satisfied to ensure that you, your family, and your friends visit us for all of you aftermarket installation needs. We carry the most reliable brands in the industry. Quite simply, if we wouldn’t install it in our personal cars, we wouldn’t install it in a customers car. We offer products that function the way our customers expect and In most cases, our prices are extremely competitive with big box retailers. When you purchase from us, you get the best experience possible. Car dealerships all across New England have called on and trusted Auto Sound to handle their aftermarket installation needs for decades. In fact, car dealer groups constantly recommend their customers come see us because they know that we have the best products and the most experienced technicians.